According to IRS guidelines, when a married couple files their taxes jointly, both parties are liable for the taxes owed no matter how much taxable income each person earned individually. If your spouse or former spouse made mistakes on your joint return or misrepresented a portion of the income, the IRS doesn’t care who made the errors, they will go after whoever they can find first. Even if you’re divorced, they will do all they can to recover back taxes, penalties, and interest. If your spouse or former spouse has put you in this unfair and potentially expensive situation, you may qualify for innocent spouse relief. If you qualify for innocent spouse relief, you won’t be responsible for back taxes and fees owed on a joint tax return that intentionally neglected to report your full joint income. If you think you may qualify, review the information below then call Stuart C Hill Jr., CPA, PLLC at 817-332-3320 or request a consultation through our website. 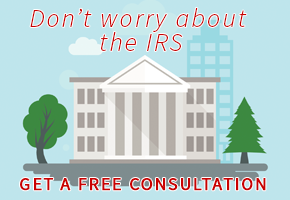 We help individuals throughout the Fort Worth, TX area get the innocent spouse tax relief they deserve.